I followed the sketch at Skipping Stones . Thanks for passing by and Hope to see you playing along. 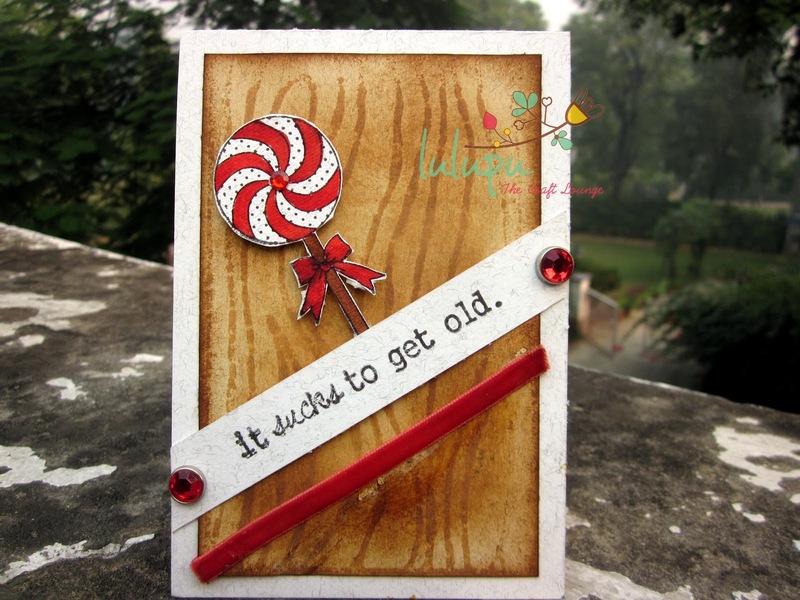 What an adorable card Snehal...loved the coloring and distressing you have done...and its so nice to see you blogging after so long:):)...missed you !! Love the sentiment - LOL! This is so fun! I absolutely love it! Great colours. Thanks for playing along with Skipping Stones Design.